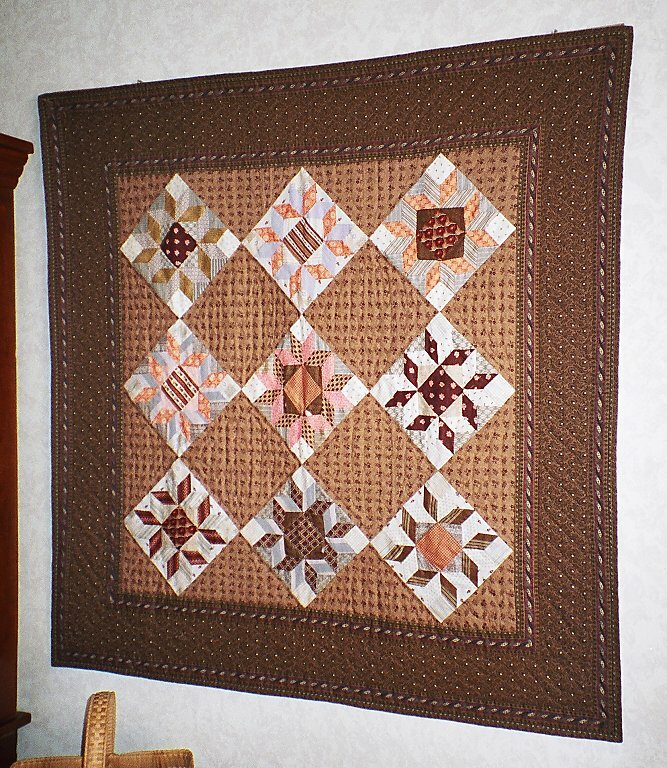 In about 2000 I was asked to give a last minute demonstration at the annual QU quilt show. 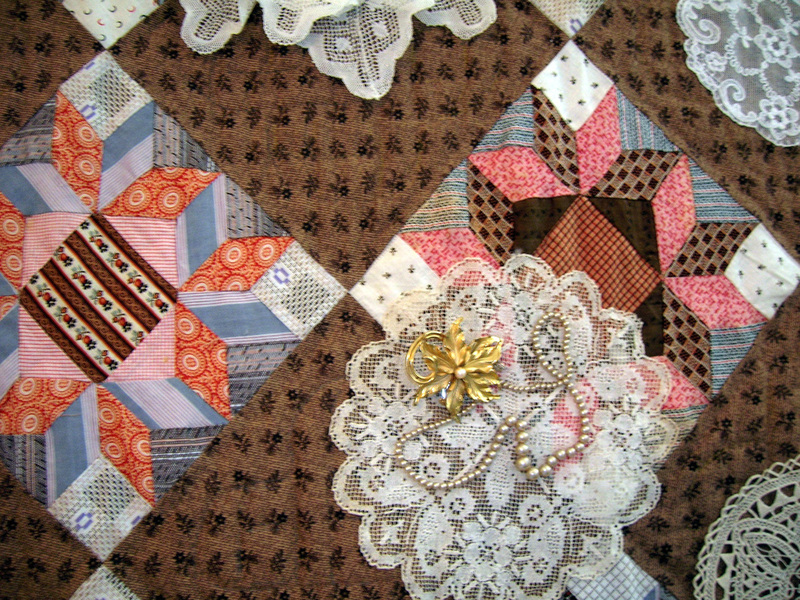 I bravely offered to do one on the subject of using vintage handkerchiefs in quilts. Realizing that I didn't know much about the subject I teamed up with a friend, Ann Littleton. The result was a program on the subject that we called Hanky Play. We called ourselves the Old Hankie Ladies and came up with dozens of ideas of how to use hankies. Some of my creations are shown here. 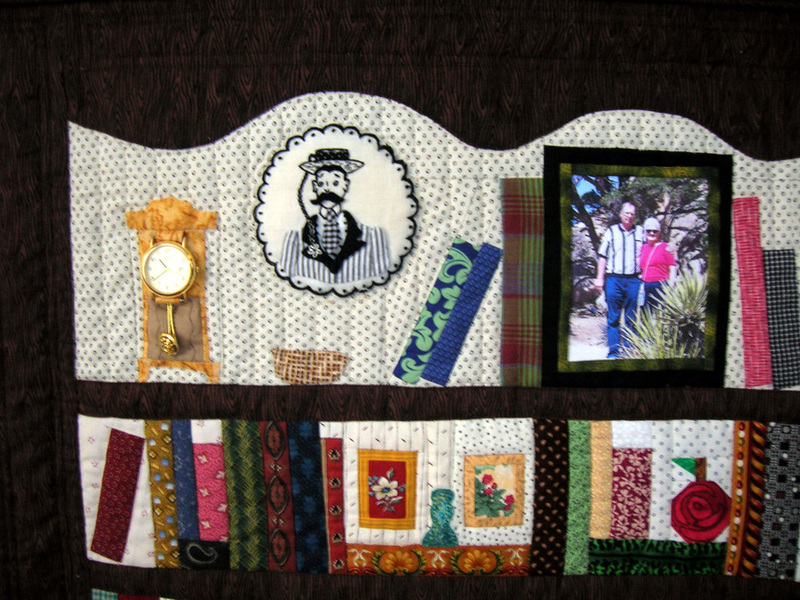 The old fabrics were very brittle, but they have been set together with new fabrics and look great on the wall in my dining room. 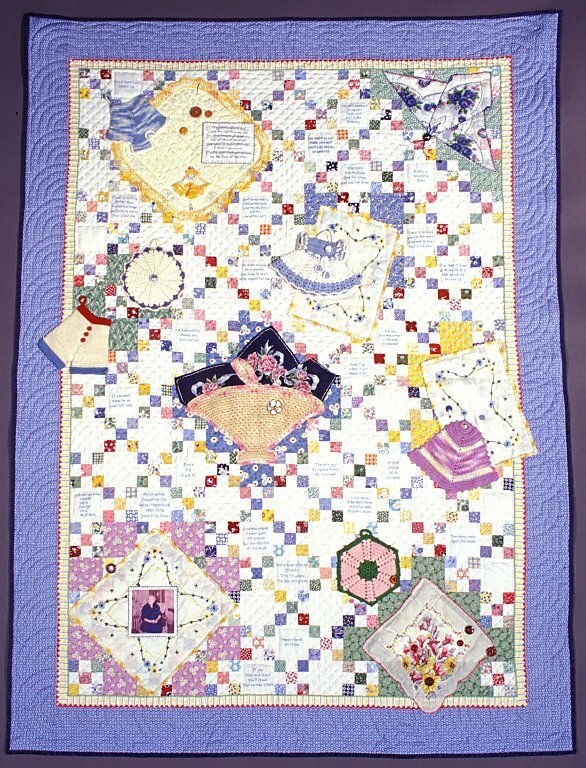 The quilt above, that I called Pieced Blocks, hung in our dining room for years. The old blocks were quite fragile. 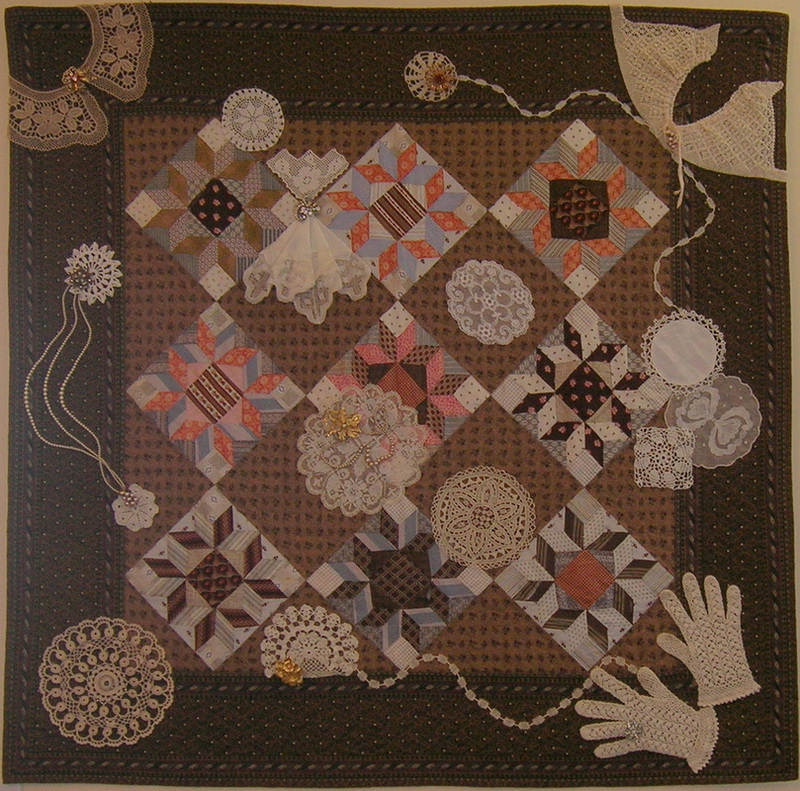 This quilt was used as a base for exhibiting many pieces of old lace and jewelry. 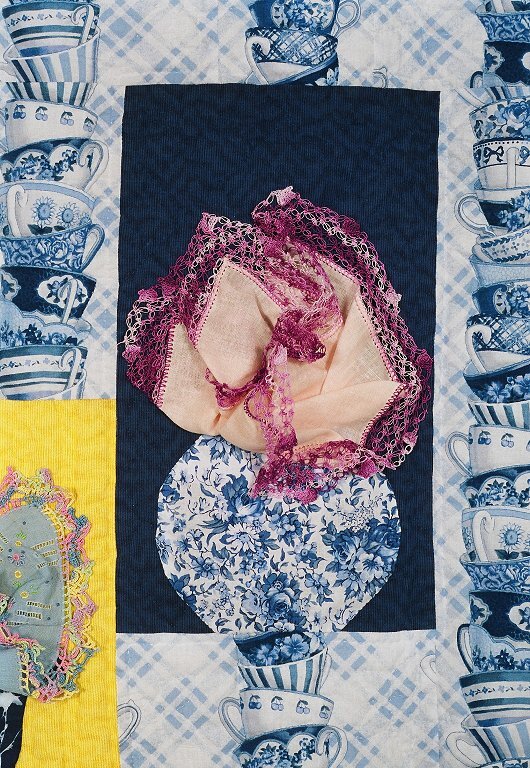 There are a few lace trimmed hankies as well as the handmade top of a camisole, gloves, Irish lace and similar items. The pieces of jewelry are from my mother’s and aunt’s estates. 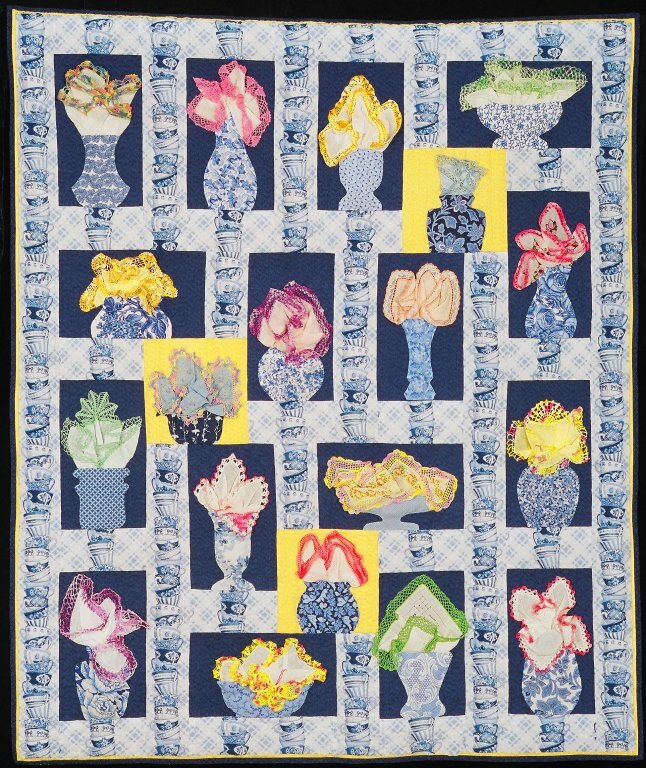 This quilt incorporates old hankies, potholders, table linens, buttons, dishcloths, an apron, buttons and rickrack from the depression era. I added sayings that my Grandma, Josephine Ella Petsel Hagenbuch, used to say as well as a photo transfer of her. 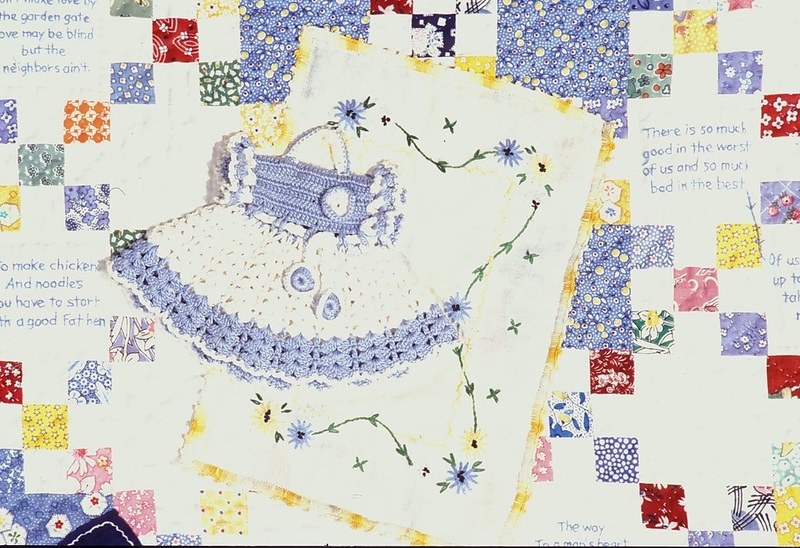 The embroidered dishtowels and apron form the back of the quilt. 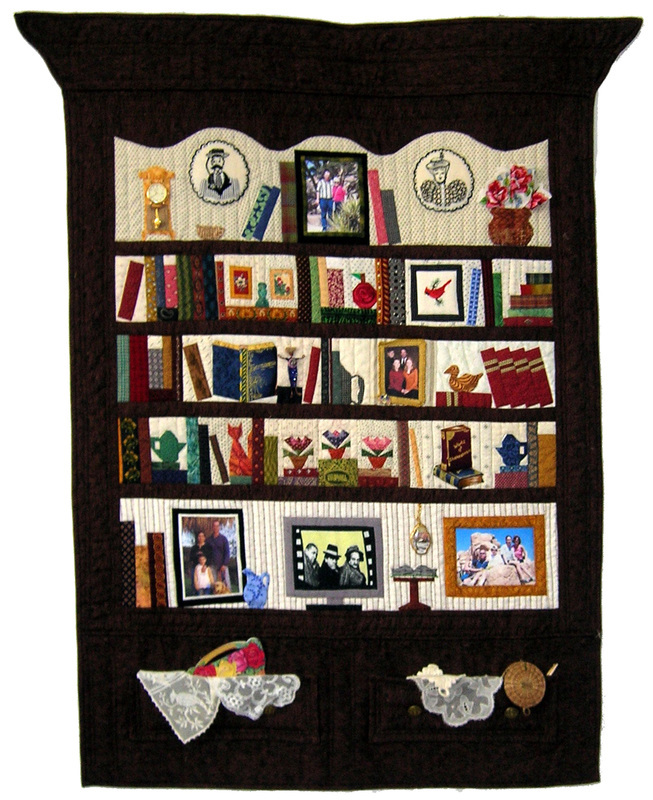 This original design is a way to display old hankies with pretty edges in vases. Grandma used to say: “You need two hankies, one for show and one for blow.” These are definitely for show. 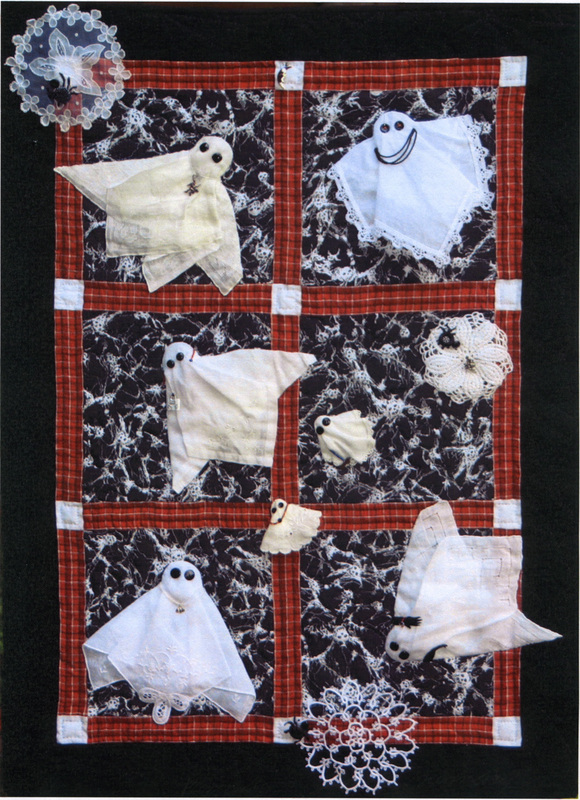 These hankie ghosts are all dressed up and ready to help celebrate the life of a departed friend who no doubt will revisit them on occasion.